INTRODUCTION: People move to big cities, migrate to other countries and often lose connection with their past. And the next generation often has little information about where and how their ancestors lived. Jewish settlements (‘shtetls’ in Yiddish) – were an original part of Eastern Europe culture for Ashkenazi Jews for several centuries. It was the time of shoemakers, milkmen, blacksmiths and furriers. Here among an intense lifestyle that incorporated outside pain and internal strong religious belief, and among cruel pogroms and persecution the threads of millions Jewish fates were braided. 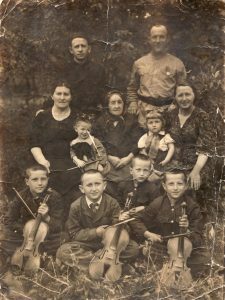 The uniqueness of the shtetl life gave birth to original melodies and songs, a special taste of the Yiddish language and architectural elements. 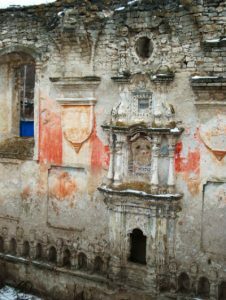 And if you look at the walls of old synagogues, nameless gravestones you could probably hear notes of nostalgia that sounded in the times of our grandmothers and grandfathers and recognize something close and intimate. As we did when while walking on the broken streets of Rashcov, Briceni or Zgurita. We recalled the stories heard from our parents, and saw what seemed extremely far, improbable, maybe even fantastic. 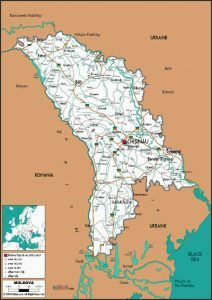 HISTORY OF THE JEWS IN MOLDOVA IN BRIEF: The Republic of Moldova today is an independent state sandwiched between Ukraine and Romania. Its territory is 33,700 sq. km, and population 3.5 million people. Chisinau is the capital of the country. The first Jews appeared on the territory of the modern Moldova in the 1st century with the Roman legions. In 7th century it bordered with Khazars’ kingdom where Judaism became the state religion. In 14th century King Roman allowed the Jewish community to establish a permanent presence in Moldova. In 16th century Jewish immigrants from Poland and Germany arrived. In 17th century Khelminitsky Cossacks twice invaded the country bringing horror and pogroms. In 18th century the Sultan of Turkey moved Jews from Turkey to Moldova and Romania. When in 1812 Bessarabia became a part of Russian Empire 50,000 Jews lived here. The Bessarabian province was part of the Pale of Settlement. Jews were granted some privileges, for example, the right to buy and to rent plots of land. Many Jews came to Moldova from other parts of Russia and even European countries. By the end of 19th century 230,000 Jews made 12% of the Bessarabia total population and over 50% in some towns (Beltsy, Orhei, Soroca). 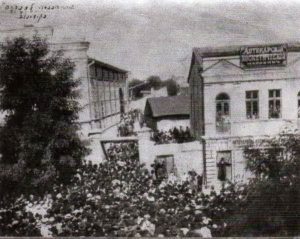 In the beginning of 20th century a series of bloody pogroms took place including the one of 1903 in Chisinau. Mass emigration of many Jews to USA, Palestine, Argentina greatly increased. In 1918 Bessarabia entered the Romanian Kingdom, while the left bank (present day Transnistria) became the part of Soviet Russia. In 1940 due to Molotov-Ribbentrop Pact, Bessarabia became part of the USSR. At this time over 400,000 Jews lived on its territory. In 1941 Moldova was occupied by Nazi and Romanian troops. Around 350,000 Jews perished during the Holocaust. In the end of 1960s underground Zionist activities began in Moldova. Anti-Semitic and anti-Zionist court processes took place. Between 1970-1995 over 160,000 Jews left Moldova for Israel, Germany, USA, Canada. In the end of 1980s local Jewish community life was revived. According to local estimates 15- 20,000 Jews and members of the Jewish families live in the country.